A Welshman and an American went into a hotel. They came out as employees #1 and 2 of the UK recording industry. 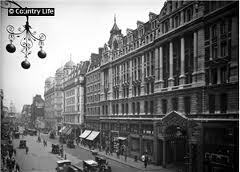 One hundred and fourteen years ago, in December 1897, an American businessman was pacing up and down his room at the brand new and ostentatious Hotel Cecil on the Strand. 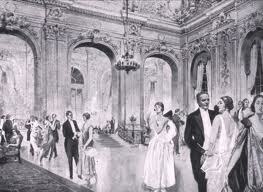 Dancing at The Cecil was all the rage. The American, who was William Owen Barry, was not there to dance. He had moved across from the US to set up a new company. In fact he was seeding a new industry that did not yet exist in the UK; sound recording. He needed investors and had presumably taken rooms at the expensive Cecil in order to suggest the seriousness and potential rewards of his business proposal. He’d met a number of potential investors since arriving in London in the summer but had not yet been able to secure the necessary funds. Hotel bills and entertaining expenses were no doubt growing as he trawled the town for financial suitors but as he came to end of the year he still had little to show for his endeavours. 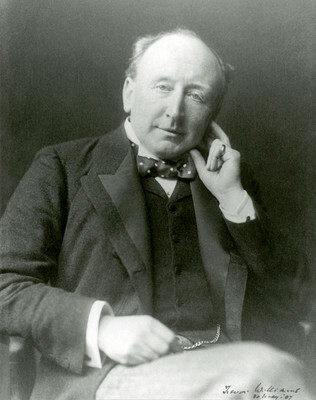 No doubt there would have been pressure coming from his boss, Emile Berliner, in the States – probably along one of the new telegraph cables that were shrinking the globe. 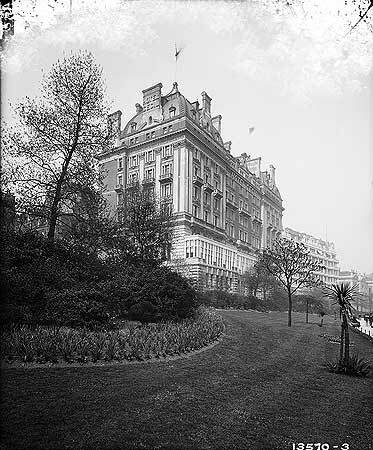 He was pacing up and down the room as he waited to meet a potential investor; Trevor Williams (or to give him his formal Edmund Trevor Lloyd Williams) was a Welshman from North Wales who worked as a solicitor at Lincoln’s Inn and impressed by the new technology and had a yen to invest. But the American needn’t have worried. The Welshman had formed a syndicate to invest $5,000 to secure the European rights to the new fangled Gramophone. They shook hands on a deal and agreed to work together to establish and grow this new business. They would reconvene in the New Year to dot the i’s and cross the t’s and formalise The Gramophone Company. Possibly a glass or two were taken? Maybe a cigar smoked? And then the Welshman would have stepped outside onto the teeming Strand, back into the bustle of the city at the centre of a huge empire, at the peak of the Naughty Nineties, head spinning with the new business opportunity…. P.S. In the years to come, their company would return to The Cecil to make records of the house band…. This entry was posted in 1897, executives, HISTORY OF RECORDED MUSIC, PEOPLE, Uncategorized and tagged emile berliner, hotel cecil, london, naughty nineties, telegraph, the strand, trevor williams, william barry owen by Nipper. Bookmark the permalink. Or even William Barry Owen!! Great photos. The golden days of the hotel – reminds me of the Fairmount Hotels in Canada, all built as a result of the opening of the railways, as I guess this was too. Thank you for this Trevor Williams is/was my 1st cousin 3x removed. I am busy researching my ancestors and this is another interesting find. 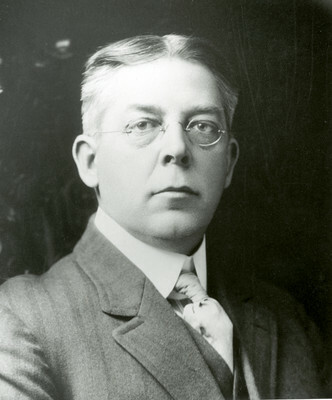 Trevor Williams is a key figure in Gramophone Company history. If you have stories you like to share we would love to hear from you. You may be aware that the Welsh language history series Darn Bach o Hanes (a little piece of History) to trace the first recording in the Welsh language. They did some indepth research on Williams and Breese family, if you can get hold of the programme it’s worth checking out. Thank you very much… I have begun searching Youtube… and I have some Welsh speaking friends that may be able to help me with this. So pleased and I’m sure your Welsh friends will enjoy watching the clip.